Need to get to grips with your search marketing but can’t afford to employ an expert on staff? Perhaps you have a small business looking to get into the search engines? Are you wondering why a competitor keeps showing above you on Google? Maybe you have a web design or marketing company and are looking for an online marketing consultant to help with that side of the business? Adsurf is all about your search engine marketing. We can get you found when your prospects are searching for your type of product or service. There are various ways to maximise your presence in the search engines and you can even target almost instant listings for specific search phrases if you like through the use of programs like Google’s AdWords program. While it’s not ‘Search’ you can also use social media like Facebook to communicate with your clients in most cases. Search marketing can be a confusing topic for many business owners or one that they just can’t find time for. Putting a new member of staff on the books is often not an option. Getting a search marketing consultant to help, even for just a few hours a month, may be just what you need. Search Engine Marketing is now a must-do for most businesses, you just have to be where the customers are looking for you. 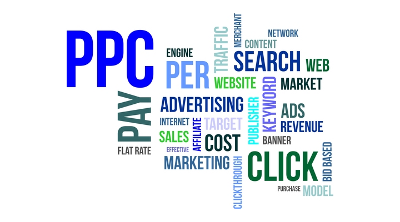 You can get there rapidly with pay per click (PPC) strategies or get free search engine traffic through search engine optimisation (SEO) strategies. None of that means anything unless you also know how to convert website visitors into leads and sales. That’s where conversion optimisation takes over. Did you know that the words, images and colours on your website can be the difference between a great online marketing campaign and a mediocre one? Adsurf is a search marketing consultant and can help with search engine optimisation, pay per click (AdWords) and other aspects of your online presence, including getting the most out of your existing website. We are based in Sydney and work with many businesses, marketing agencies and web designers all over Australia. Please contact us if you need help with your online marketing strategies – let’s see how we can help you.